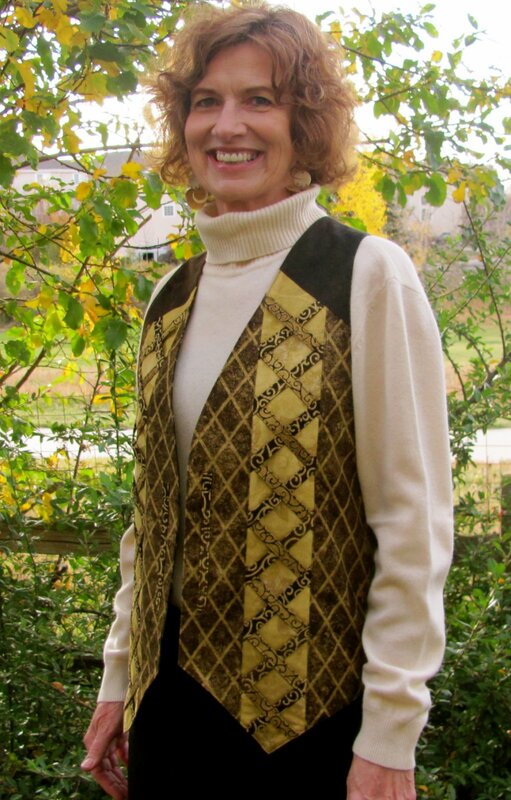 We specialize in fashionable quilted wearables, offering a wide range of jacket designs, as well as vests and children's jackets. Our patterns are timelessly stylish, comfortable, and crafted to fit a variety of sizes with accuracy and precision. Our quilt-as-you-go method makes for quick assembly, plus we incorporate new techniques in each garment pattern to increase your sewing skills too. No matter your skill level, we're always happy to answer your questions and we look forward to assisting you throughout your sewing journey! We can be reached by phone at 630-513-5434 and by email at morninglorydesigns@sbcglobal.net. Design 54U MGD1602 is perfect for rayon batiks. This contemporary-styled top just right for all occasions. V neck in front and back with side slits at the hip. 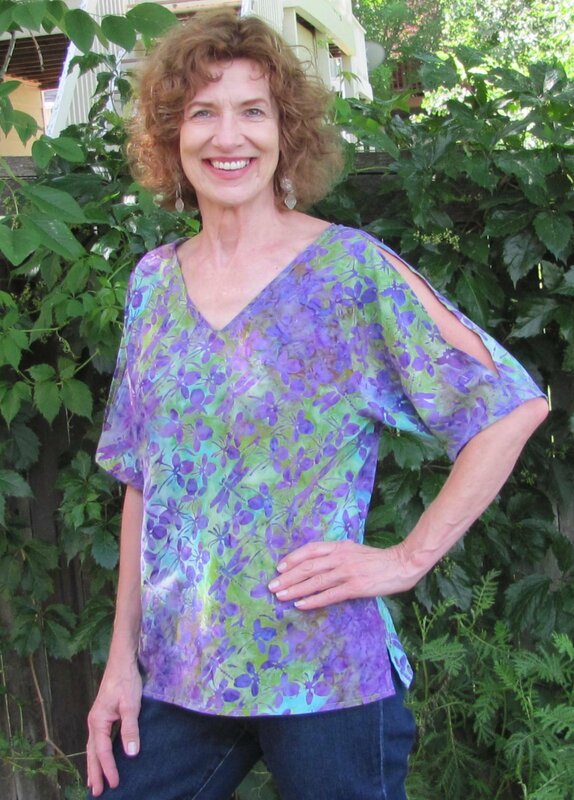 An open sleeve vent on a short sleeve or double on a 3/4 length sleeve is just the stylish feature needed to complete this unique top. MorninGlory Designs recommends using Soak for cleaning your jackets and fine apparel.